This Sunday afternoon program is open to the community. Come and join us for a guided orientation walk, followed by an asana and pranayama class, and an organic, vegetarian meal for a nominal donation of $10. Children are free. You are also welcome to join us for satsang to have the experience of silent meditation, chanting, and our Sunday prayers. 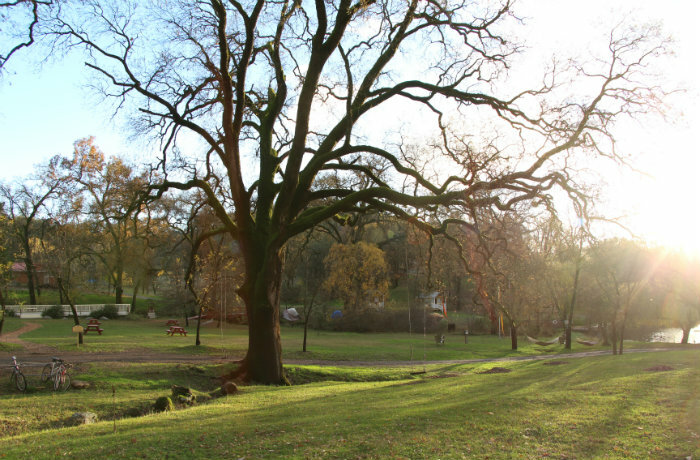 The ashram, founded in 1971 by Swami Vishnu-Devananda in the Sierra foothills, is a non-profit organization run entirely by volunteers and yogis dedicated to promoting a healthy and disciplined lifestyle, which is conducive to high consciousness and individual and world peace. The ashram facility is an ideal location for all to come to learn this tradition.